We have not yet trialed Beyond Milk, so this is an informational review post only. Beyond Milk is a re-branding of the product formerly known as Omega Milk (which we did sample and review), however it also appears to be a new formula! Therefore, I cannot yet give it a rating or personally weigh in on the taste, texture, etc, but if you have tried it, please do leave a comment with your own review! 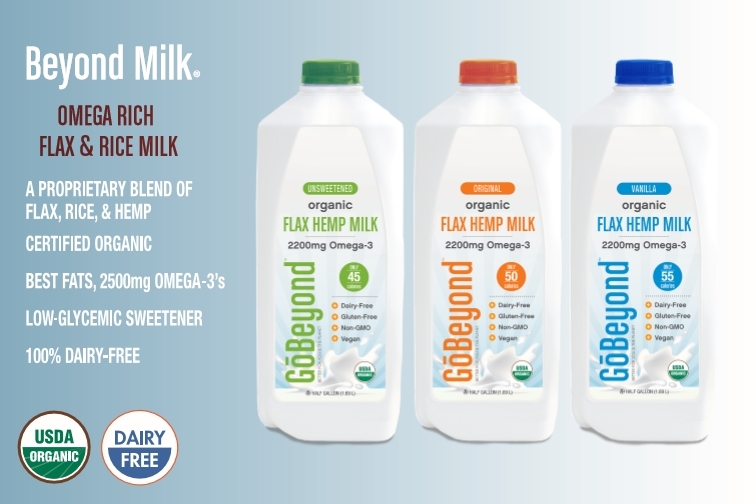 Flax milk and hemp milk are two of the top milk beverage requests I receive since each tends to be very allergy-friendly and yet both types have become rather elusive on the non-dairy market. 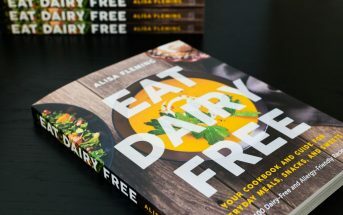 So what about flax hemp milk? Will that do? Formerly known as Omega Creamery, the fledgling company of GoBeyond Foods (with former CEO of Living Harvest / Tempt on board!) 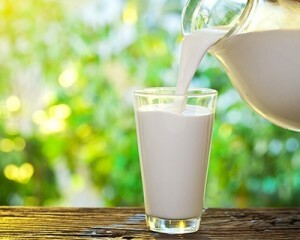 has relaunched a milk beverage line, now known as Beyond Milk. 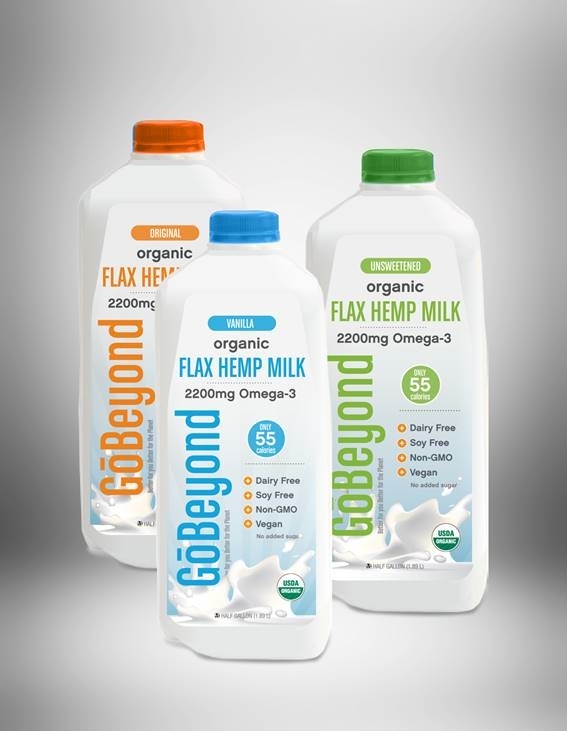 As you can see, Beyond Milk is actually a combination of flax, rice and hemp, that is available in Original, Vanilla and Unsweetened. But to warn you, I’m pretty sure the ingredient information on the GoBeyond website (at my time of writing) isn’t correct. They do not list hemp as an ingredient at all, and the Unsweetened version has a sweetener listed. Certifications: Beyond Milk is Certified Organic and Certified Kosher Parve. Dietary Notes: By ingredients, Beyond Milk from GoBeyond (formerly Omega Milk by Omega Creamery) is dairy-free / non-dairy, egg-free, gluten-free, nut-free, peanut-free, soy-free, vegan / plant-based, and vegetarian. Nonetheless, check with the company on their manufacturing processes for all varieties if potential allergen cross-contamination is an issue for you. Processes and labeling are subject to change at any time for any company / product. 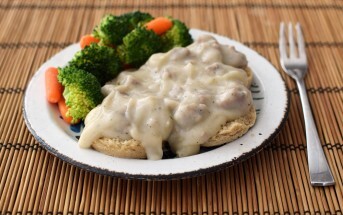 For More Product Information: Visit the GoBeyond Foods website at www.gobeyondfoods.com. Hi Sonia, I believe they have a store locator here on their website – http://www.gobeyondfoods.com/locations/ – we’re not affiliated with the company. hi…been getting rice milk and having the unpleasant sensation of it going bad way to easily while in my refrigerator. so rolled the dice at whole foods when i saw this was about their only organic non-dairy milk that was similar to rice milk. well, this is the best stuff i ever tasted. 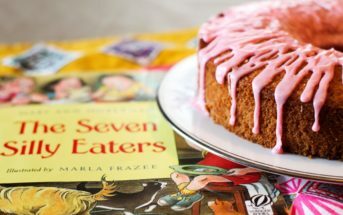 it has a milk consistency but with virtually no ‘taste’, just a very plain satisfying quality. i use it basically for protein shakes and smoothies with berries, so it really just needs a foundation for me. but when i’m thirsty i’ve been craving it…has the same kind of thirst quenching quality that coconut milk does…except this has a few grams of protein and very few calories. i simply love it and it has become my staple drink for protein or berry shakes, and also as a milk substitute with desert as i gave up milk a decade ago. I’m so glad you are enjoying it and have been able to find it! I know many people struggle to locate this brand and flaxmilk at all, so I’m happy to hear it’s getting on shelves. I drink this product and eat the ice cream, GoBeyond Ice Cream all the time and it is great. Super high in Omega 3s and low in sugar. I love it. Great! Thanks for sharing Christelle. Where can l purchase this product? I live in elkins wv. Hi Joni, I’m not affiliated with the company – you would need to check with them on where to purchase.